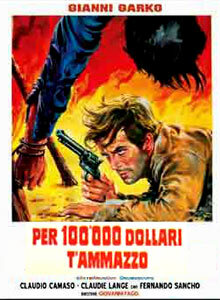 Sergio Corbucci’s lost masterpiece finally gets its proper presentation after years in a cult status limbo. 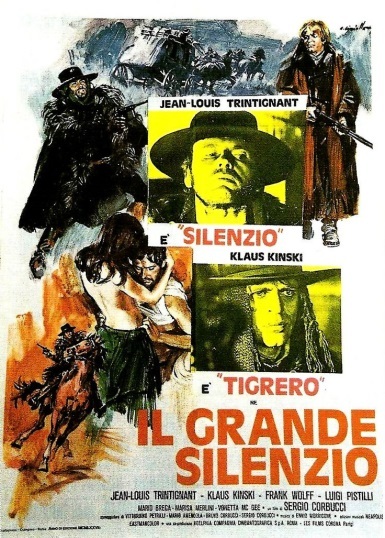 Film Movement has recently finished a new 2K HD restoration of Sergio Corbucci’s painfully brutal Spaghetti Western, The Great Silence, and plan on distributing it sometime next year. Through the good folks at the Alamo Drafthouse in Winchester, Va I was lucky enough to attend their Film Club 3.0 presentation of an ultra-early advanced screening. Often cited as an inspiration to filmmakers like Quentin Tarantino and Alex Cox, The Great Silence never got proper distribution in the United States because its blacker-than-midnight ending offended 20th Century Fox studio head, Darryl Zanuck, so deeply. Plans to remake the film with Clint Eastwood eventually fell through. Zanuck locked the film in their vault and The Great Silence was just that until a small DVD run occurred in 2001. While Sergio Leone has enjoyed decades of acclaim for his slightly bent take on the classic American movie genre, Corbucci has earned a rabid cult status from fans looking to have their oaters dragged a little deeper through the mud. In The Great Silence, hero and villain dawn the black hat. 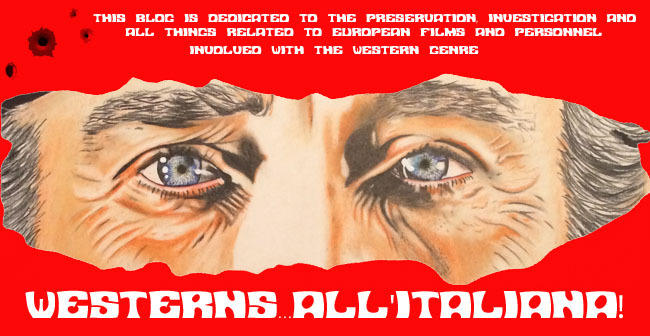 The Italians had no interest in Hopalong heroism, their Westerns flourished in an era plagued with cynicism and downright contempt for government. They do not allow their audience an escape from their terrible realities. Our hero is a savage gunslinger who had his voice literally cut from his throat when he was just a child. He’s not the first choice to take up the good cause for the people of Snow Hill, but when the newly established Sheriff reveals himself to be just another shill, a killer for hire is better than a life of continual starvation. 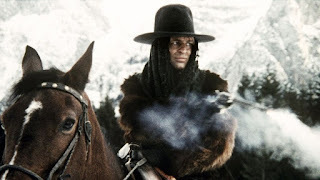 Inspired by action after the assassinations of Malcolm X and Che Guevara, Sergio Corbucci rekindled his enthusiasm in the Western by attacking his audience for their culpability in this perceived injustice. If we were unable to enact positive change on this planet then we do not deserve the righteous, heroic ending. 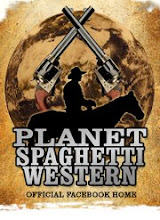 Of course, we don’t really go to Spaghetti Westerns for their moral code. 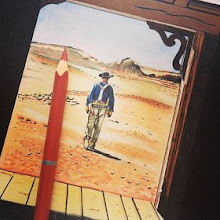 The Man With No Name was not afraid to draw first, but he was often given the last word, and he always walked away healthy if not entirely unburdened. The other Sergio (Leone) was a master craftsman who wowed audiences with his execution as much as the bravado of his characters. 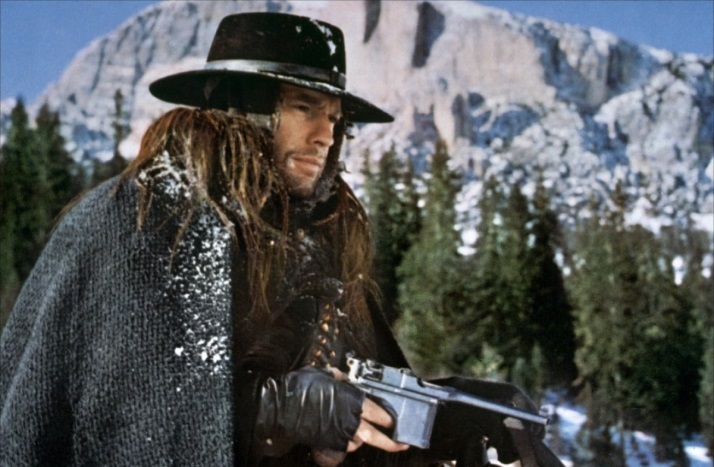 Corbucci had no desire for slick, meticulously choreographed duels. The action of The Great Silence is messy, often muddled, and often results in an unjustifiable homicide. This is a movie about bastards for bastards. Having supposedly already claimed revenge on the monsters that sacked his homestead and slaughtered his family, Silence (Jean-Louis Trintignant) roams the west seeking to right wrongs through further acts of vengeance. If he could speak would he have a single pleasantry to offer? No. He’s a specter we should fear as much as the next hard case that storms into town on horseback. However, the right grieving mother might ignite his sympathies and his gun could be purchased for your justice. That will have to do. 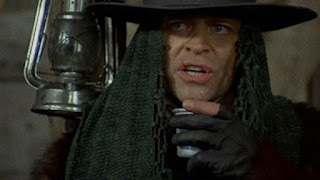 Klaus Kinski is a demon. His Loco is a walking, talking nightmare draped in a woman’s shawl clamped to his noggin with a too-big Captain Call cowboy hat. Each line of dialogue skips from his lips with a smile but lands on his opponents with the sting of a bullet. 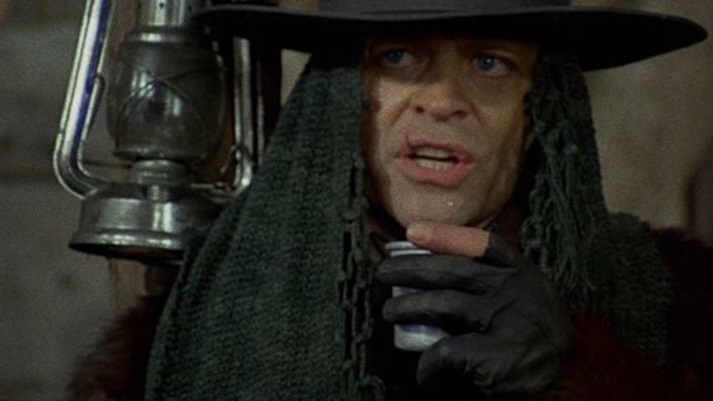 Collecting bounties on those Wanted Dead or Alive, Kinski’s lawfully sanctioned killer prefers the former to the later. We should all sink a little further into our seats when he steps into frame, but his psychotic chemistry is infectious, and The Great Silence is at its most lively when he’s torturing the decent people of Snow Hill. There is a little space carved out for romance, but it’s as foolish a dream as any other hope in the film. As a widow to one of the many fallen, Vonetta McGee manipulates her grief to woo the terror of Silence. She does not have much to offer him other than her bed and her sorrow. Somewhere along her machinations, she may develop an actual infatuation, or they simply just discover comfort in each other’s misery. However slim the believability of this relationship, they fulfill the genre necessity for a little kissing before the blaze of glory. I’ve spent a lifetime enjoying Westerns that burn under the hot sun and leave their characters baked in the desert. That’s the environment we expect and crave from the genre. To experience this oddity that truly punishes its characters for foolishly planting themselves in the mountains of Utah (filmed on location in the Italian Dolomites) is at first off-putting. Corbucci rarely gives his characters a proper portrait. They are often shadowed in dim cabins or blanketed in a blinding whiteout. On several occasions, I found myself squinting to simply see which actor was being murdered now. This is not a sweeping epic. It’s a claustrophobic horror filled with anger at your audacity to purchase a movie ticket. The Great Silence has no interest in offering us a happy ending. We simply don’t deserve to ride off into the sunset. We don’t even deserve a living damnation. We only deserve death, and that’s what we get. Sergio Corbucci leaves us hollow, our insides scooped out and splayed across the silver screen. 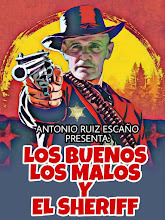 For our sins on this planet, The Man With No Name does not get the final word. He does not get the cool comeback or the slick quickdraw. He only gets the honesty of a bullet, and we get to share that reality with him. 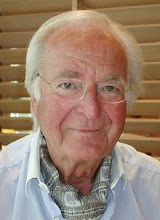 Vengeance is Mine was the directorial debut of Giovanni Fago (here credited as Sidney Lean). 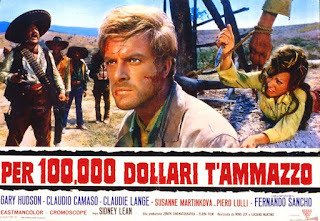 The film was written by veteran Ernesto Gastaldi with an excellent score by Nora Orlandi. On the set of this film Gianni Garko got to know Susanna Martinkova, a Czechoslovakian actress and her debut in an Italian production, he later married the actress and they had a daughter Maria. Story: Young Clint Forrest, after killing his father during an argument, puts the responsible for the murder on his half-brother John. After serving ten years in prison, John goes in search of Clint, who, meanwhile, has become a dangerous outlaw, over whose head hangs a sizable reward. He anages to track down Clint, but he waivers to kill him, preferring to deliver him to the sheriff in order to get the reward money. Clint escapes from jail, where Clint runs again into John. Instead of taking him back to jail, he agrees to follow him to share with him the cache of a robbery near the Mexican border. Clint, with the help of two members of his gang, draws his brother into a treacherous trap. He’s beaten by the three outlaws and left to die in the desert. Fortunately John escapes death and starts in search of his brother and his accomplices and when found is determined to kill them without mercy.